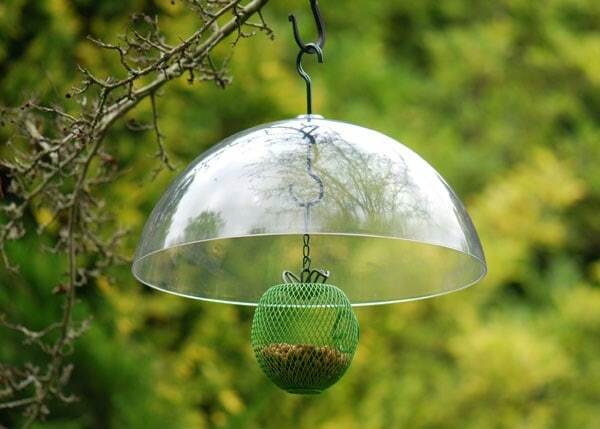 Made from tough polycarbonate, this clear dome is a formidable weapon in the battle to outwit determined squirrels! 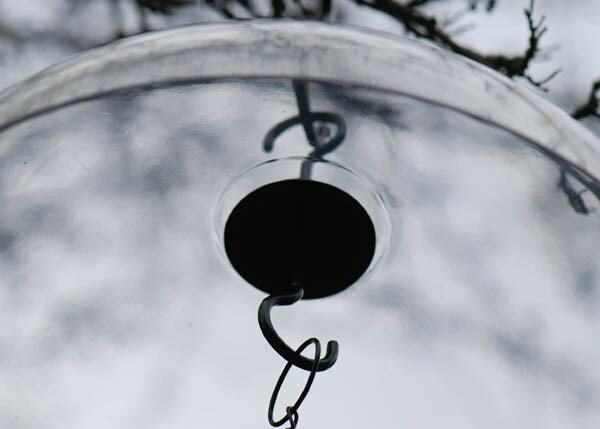 Placed over any hanging bird feeder, it provides a super slippery barrier that will frustrate squirrels’ heroic attempts to cling on. It also doubles up as an effective rain guard, keeping food fresh and dry and providing a cosy shelter for feeding birds. Includes hanging hooks.